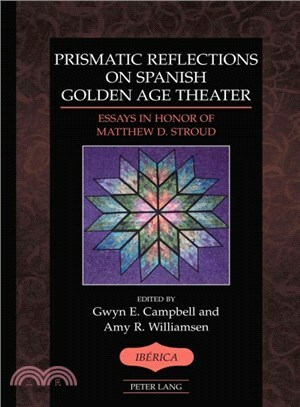 This volume, organized in five major sections, honors the myriad scholarly contributions of Matthew D. Stroud to the field of Early Modern Spanish theater. Building upon Stroud’s seminal studies, each section of essays simultaneously claims and wrestles with aspects of the rich legacy generated by his explorations. Gwyn E. Campbell (PhD, Princeton) is Professor of Spanish at Washington and Lee University. Her co-edited volumes include: Zayas and Her Sisters: An Anthology of Novelas by 17th-century Spanish Women Writers; Zayas and Her Sisters, II: Essays on Novelas by 17th-century Spanish Women Writers; and a critical edition of Leonor de Meneses’s El desdenado mas firme. Amy R. Williamsen (PhD, University of Southern California) is Professor of Spanish at the University of North Carolina-Greensboro. In addition to her book Co(s)mic Chaos: Exploring Los trabajos de Persiles y Sigismunda, her co-edited volumes include: Critical Reflections: Essays on Spanish Golden Age Literature in Honor of James A. Parr; Engendering the Early Modern Stage: Women Playwrights in the Spanish Empire; Ingeniosa Invencion: Studies in Honor of Professor Geoffrey Stagg; and Maria de Zayas: The Dynamics of Discourse.